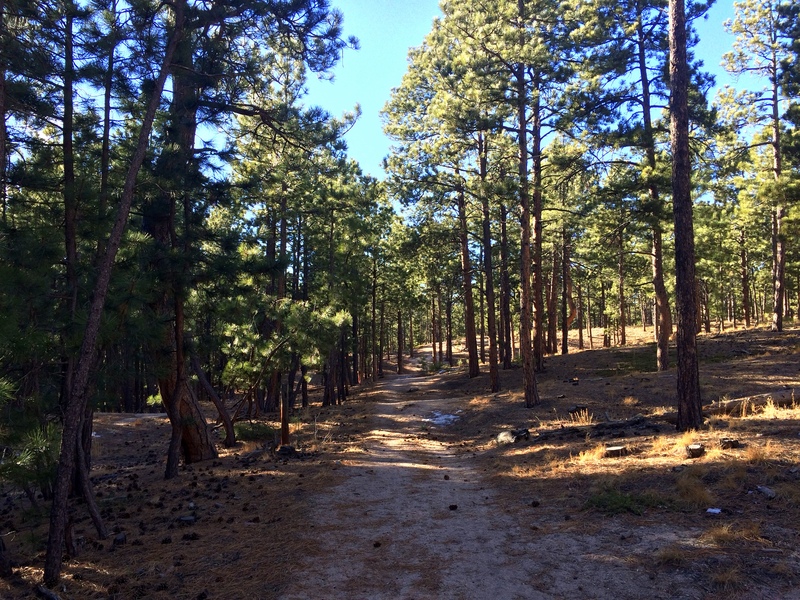 I was taking a late-afternoon hike through the Ponderosa Pine forest in this park. A dark squirrel, either black or dark brown, ran out in front of me about 40 feet away. It dashed, full speed and low to the ground, along the trail for three or four seconds, then veered off into the woods. It kept running until it was out of sight. It had long tufts of fur sticking up from its ears, which gave it a very distinct look. It was gone long before I was able to take a photo. Here’s where I saw it. A few minutes later, on the edge of a field, I saw two Eastern Fox Squirrels, an introduced species that is considered a nuisance and competes with the Abert’s Squirrel for food and habitat.